Ride for a cause… No experience necessary! 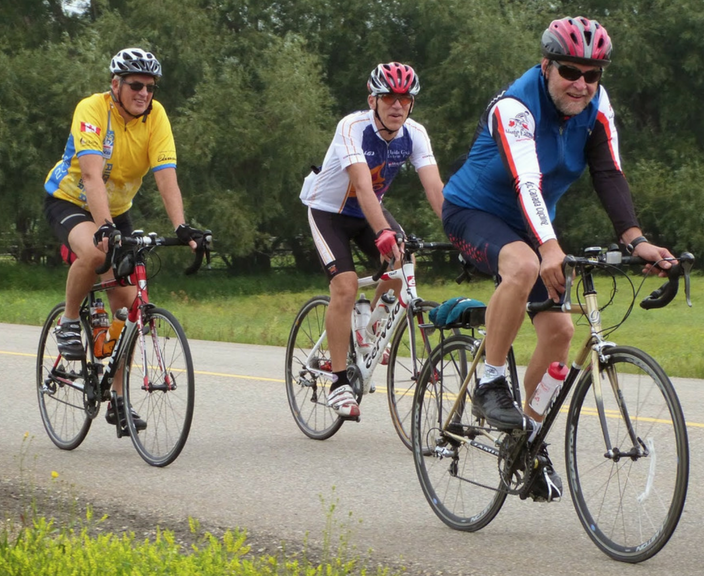 Registration for the 10th Annual Berry Architecture Community Wellness Ride is now open. Taking place on Saturday August 11th, 2018 in Red Deer, the event is a fun filled day that has participants riding one of four distances (100 km, 50 km, 25 km, or 10 km) to raise funds for the Canadian Mental Health Association-Central Alberta Region and the Central Alberta Brain Injury Society. The event is open to riders of all ages and abilities. Riders have the option to register as an individual in any distance or as a team/family if riding 25 km or 10 km. Registration is $25.00 per individual or team/family, plus minimum pledge amounts of $200.00 if riding 100 km or 50 km, and $100.00 if riding 25 km or 10 km. Please feel free to contact the event co-chairs, Melissa Brilz or Angela Darbel at (403) 342-2266 should you have any further questions. Urgent need for blood donors by Canada Day!